‘Never give up on your dreams,’ says JD (Justin Doust), a previous CJ student who is now a vo lunteer on campus. JD always wanted to work in hospitality and now he does! He has worked in a number of cafes, volunteers to teach CJ hospitality students barista skills every Tuesday at Jackson’s Training Café and makes coffee at CJ events. 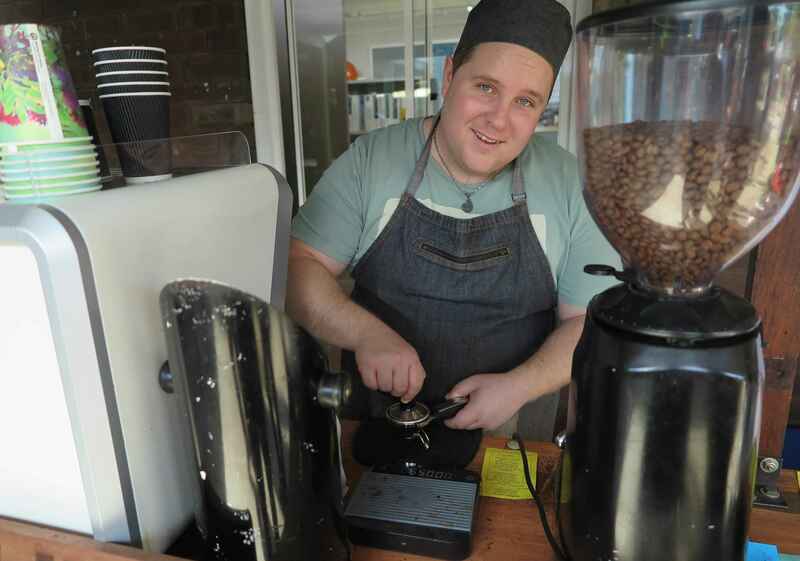 Recently he made coffee for CJ at the Bassendean Business Festival, located at the Bassendean Town Centre. JD made close friends at CJ and even helped a friend set-up his own coffee shop in Queensland by teaching him how to make expresso coffee.